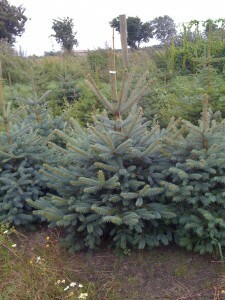 Trees in the premium category are symmetrical, conical in shape, are very thick, deep dark-green or blue-green. The tree has no significant defects. The branches are uniformly distributed (each whorl comprises at least four, and preferably five, evenly distributed branches). This is the highest quality Christmas tree. 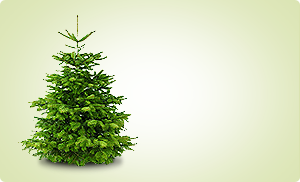 Trees in the standard category are typical, natural Christmas tree, conical in shape, but they are less dense than premium trees. There is more openness, and some irregularities, but the overall contour is still harmonious. It’s a classic Christmas tree, a joy for every house. These trees meet the requirements of the majority of our customers. 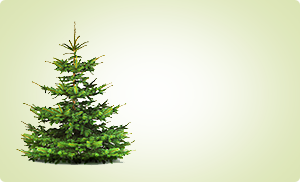 Trees in the promotional category often have open branching structure (dense from time to time, too). They contain a greater number of imperfections, and are less uniform. They often resemble Christmas trees cut down in the forest. Excellent tree for the pricing promotion. The height of tree is measured from the ground to the middle of the top of the tree. Blue Spruce or Silver Spruce (Picea pungens). Its natural habitat is the Rocky Mountains in the western United States, where it grows on the northern, shaded slopes near riverbeds. Characteristic features of blue spruce against other Pinaceae is a unique colour of needles and a sizable crown and trunk. 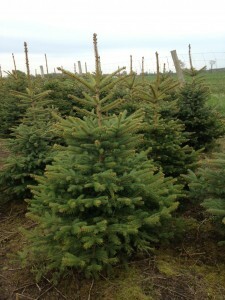 The beauty of silver spruce has been recognized in horticulture. It is resistant to harmful environmental factors such as air pollution and adverse weather conditions, even drought and frosts. For these reasons it is planted in parks and home gardens. Its dwarf form, suitable for growing in pots, is also very popular. 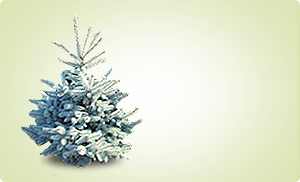 Silver Spruce is the most popular Christmas tree. The conifer crown is well spread, dense and arranged into clearly visible levels. The branches, firmly settled on the trunk, grow at right angles and are wide open. The Silver Spruce owes its aesthetic features to blue-gray and blue-green shade of needles which are arranged radially around the shoots. The silver spruce on offer comes in the form of Christmas trees, as well as trees and shrubs that can be planted in the garden. The Blue of Silver Spruce will adapt to almost any kind of soil, even on sand and gravel soils. It must be remembered, however, to plant it in direct sunlight because if there is not enough sunlight, the needles can lose its beautiful colour.